We Clean For Your Health, Like No One Else. 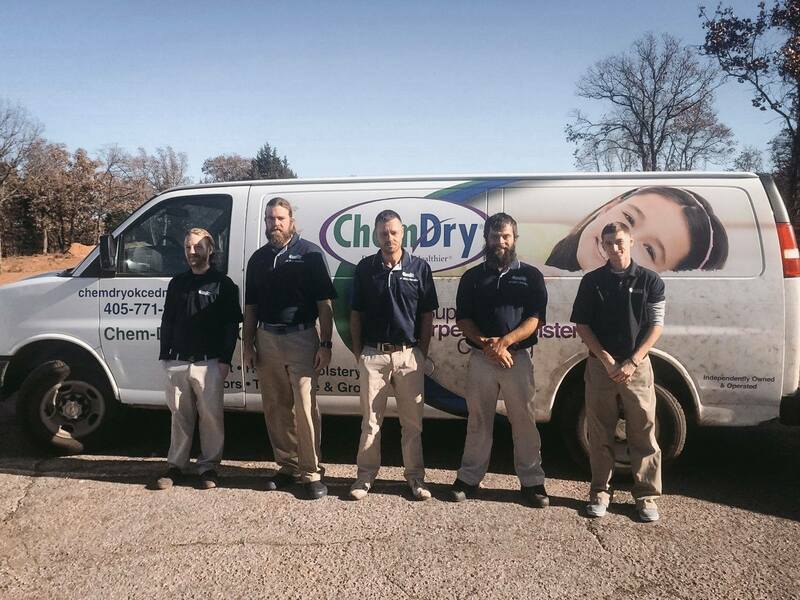 Chem-Dry of OKC/Edmond’s mission is to help people live healthier lives. We believe that starts with clean carpets & upholstery and a healthy home. Our revolutionary hot carbonating extraction carpet & upholstery cleaning process penetrates deep into the fibers and removes an average of 98% of common household allergens. When a sanitizer is added, 89% of airborne bacteria in your home is also removed. Plus, our green-certified solution contains no soaps or detergents and is safe and non-toxic for your family & pets. Chem-Dry uses 80% less water than typical steam cleaning so your carpet dries in a few hours instead of a few days. We look to continually satisfy our customers with the cleanest and fastest drying carpets and upholstery in the industry. When we’re invited into your home or business, we promise to expertly apply our products and to be gentle on carpets and property. Our non-toxic cleaning services will always be delivered by trustworthy and friendly professionals. In the 1970s, Robert Harris started working his way through law school as a carpet cleaner working for a different carpet cleaning company. He quickly became unsatisfied with the performance of available cleaning products and began researching a better solution. His research extended over several years as he studied the chemical properties and reactions of a variety of cleaning formulas. He combined his research with experimentation that required him to continually clean carpets with a succession of cleaning formulations. Eventually, Robert Harris discovered the ideal cleaning formula. His unique carbonated solution delivered exceptional cleaning and was also safe and non-toxic. Harris founded Chem-Dry and the demand for his superior cleaning services grew exponentially. His entrepreneurial journey blossomed into a thriving success that has continued to grow. 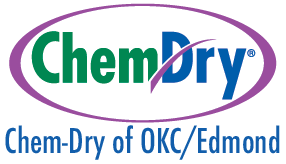 The original Chem-Dry network has expanded over recent decades to offer thousands of successful franchises throughout the world, including Chem-Dry of OKC/Edmond based in Oklahoma City, OK.